With Valentine's Day just around the corner I wanted to share a fun craft idea that my son Jaxon and I made together. This craft is super simple and it's perfect for children of all ages to make. 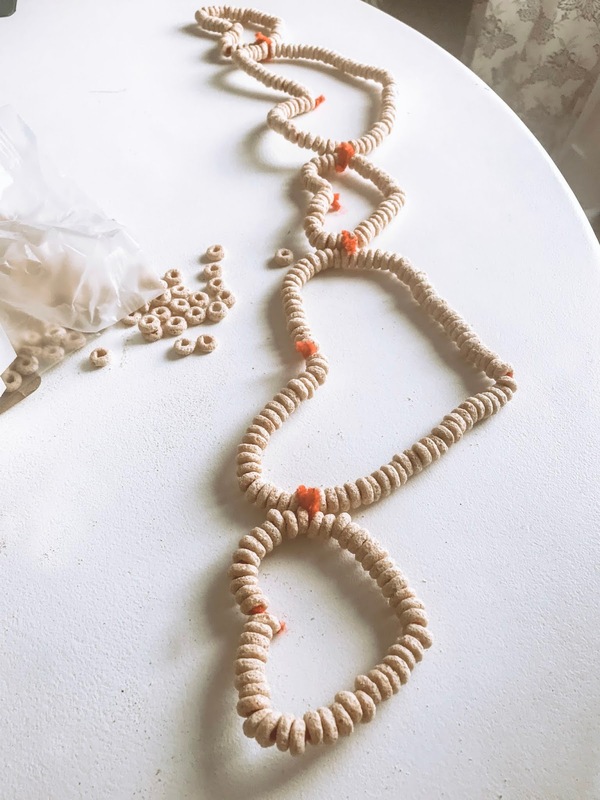 The only two things you will need to make this Bird feeder heart garland is Organic Cheerios and some pipe cleaners. 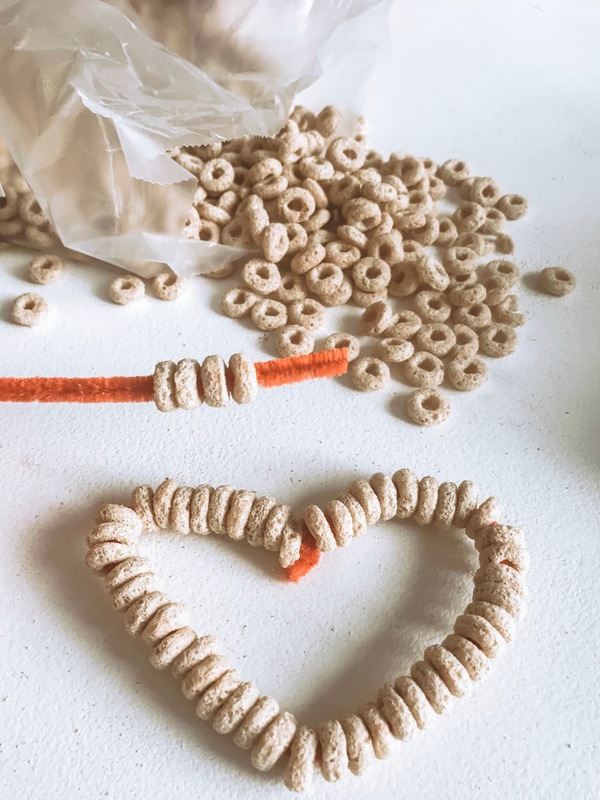 Simply strand the cheerios onto the pipe cleaner and then twist it into place and shape into a heart. We used one pipe cleaner for the smaller hearts and two pipe cleaners twisted together to make the larger hearts. Once we had three small hearts and two large hearts made, we used small pieces of pipe cleaner to attached them together to create this garland. If you are making these with a group of children, you may want to have them each just make one individual heart. I think these would be a fun craft for a school class party. 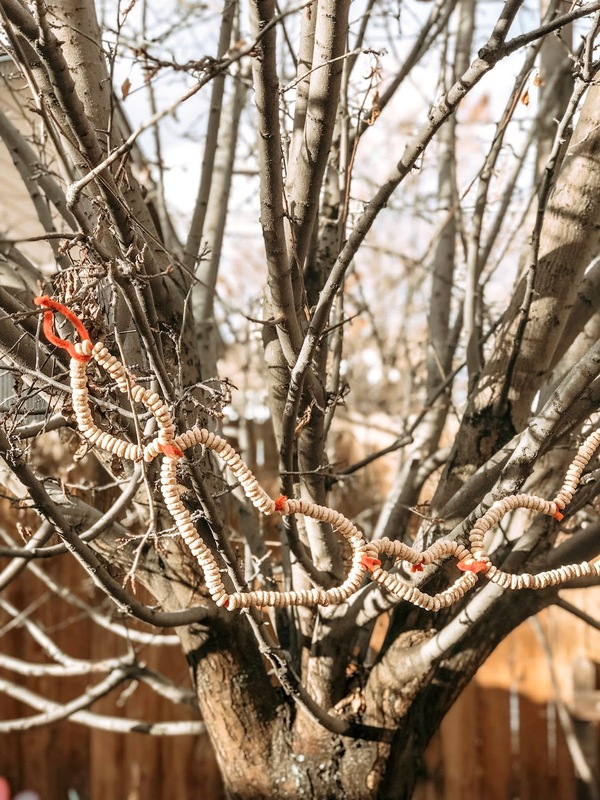 We then took our heart garland outside and hung it on a tree in our backyard. The birds have really started to enjoy it. February is national bird feeding / bird watching month and so this little craft is perfect to make this time of year. 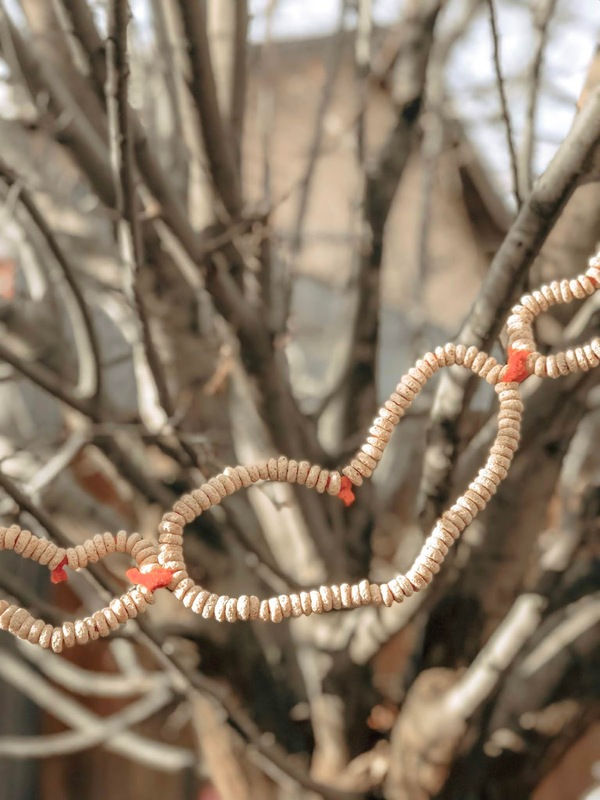 I hope that you will have just as much fun as we did making these bird feeder hearts.